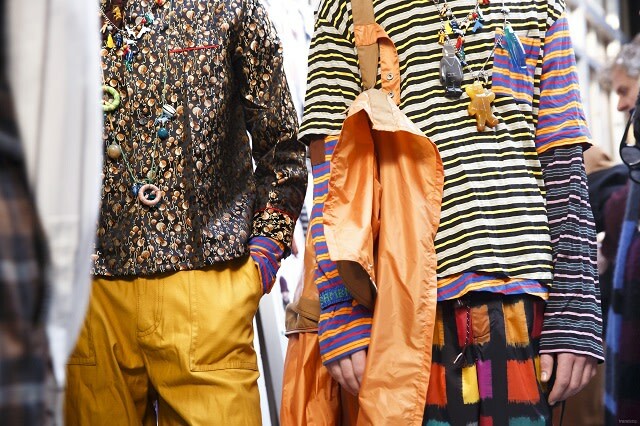 Trendstop’s catwalk experts bring you the essential collections and most influential designers showing across the international Men’s Fashion Weeks. Inspiring and innovative, these key styles will be impacting the direction and development of the menswear market into Fall/Winter 2018-19 and beyond. This week, Trendstop present an exclusive look at three menswear catwalk collections. 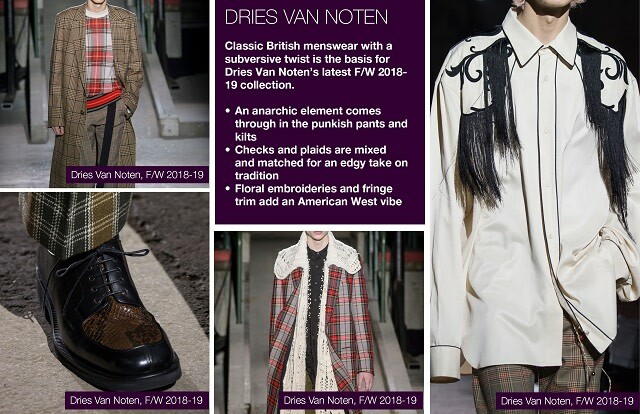 A Western influence was seen at both Louis Vuitton and Dries Van Noten, creating some of the season’s most interesting and unexpected hybrid styles. At Marni and Dries Van Noten, heritage and classic menswear codes were subverted with a darker, edgier feel. Punk elements and haphazard arts and crafts techniques transformed traditional silhouettes and played with surface texture. Image courtesy of Trendstop. Marni S/S F/W 2018-19 collection. 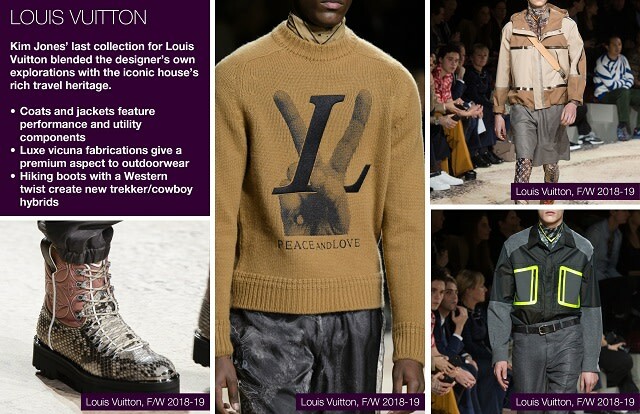 Kim Jones’ last collection for Louis Vuitton blended the designer’s own explorations with the iconic house’s rich travel heritage. 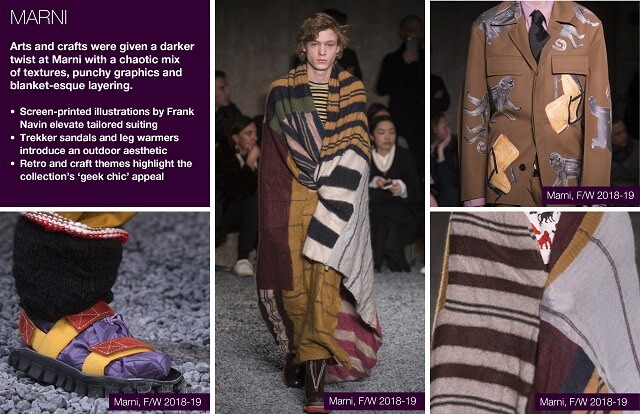 Arts and crafts were given a darker twist at Marni with a chaotic mix of textures, punchy graphics and blanket-esque layering. Classic British menswear with a subversive twist is the basis for Dries Van Noten’s latest F/W 2018-19 collection. WeConnectFashion readers can get FREE ACCESS to Trendstop’s Spring Summer 2018 Top Collections by City report, a curated overview of the most influential NYC collections. Simply click here, to receive your free report.